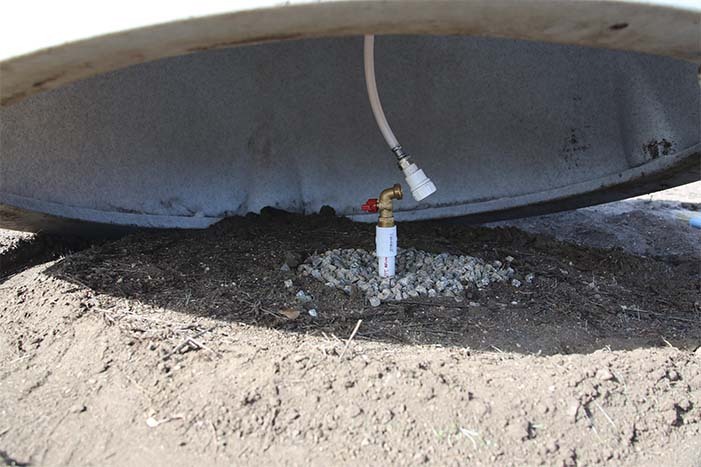 Following are some pictures and instructions describing the process of installing a pasture waterer. 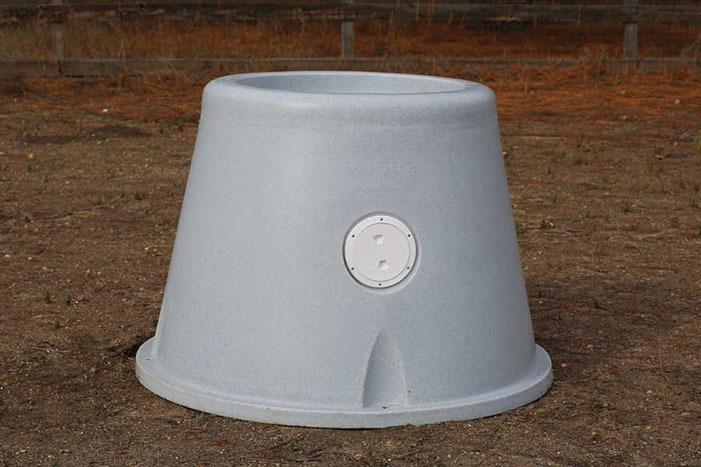 The pasture waterer comes equiped with a 3/4" hose connection. 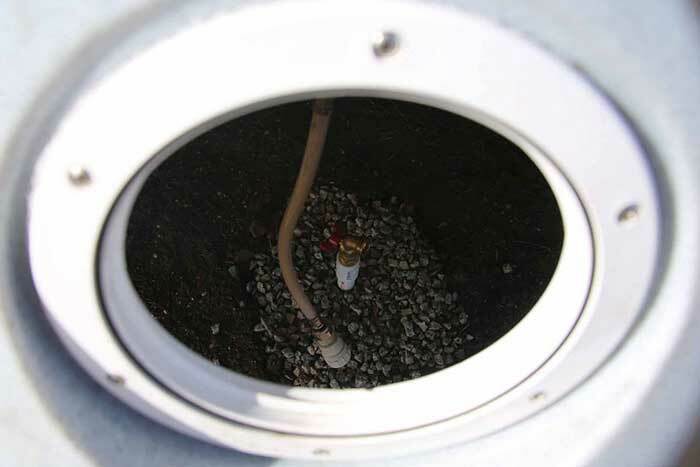 In compliance with local building codes install a 3/4" hose bib into the ground with the top of the hose bib measuring approximately 6" out of the ground. 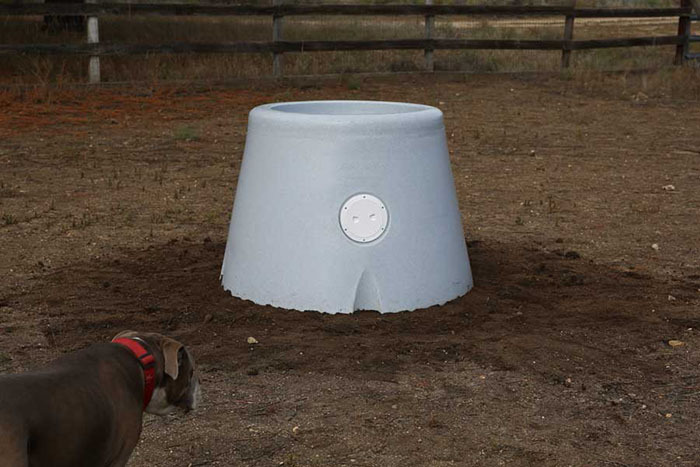 Set the center of the pasture waterer directly over the center of the hose bib. 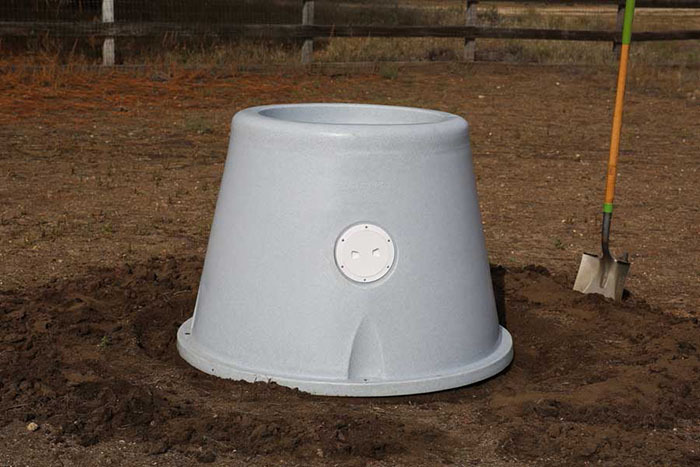 Now that the pasture waterer is in place, make sure it is basically level and clear of debris for the next step. 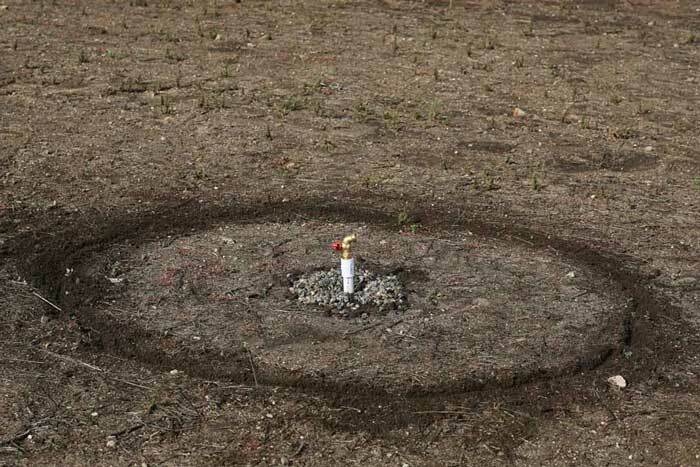 Now simply take a stick and scratch an outline around the base making a circle in the dirt. Enlarge the ouline made earlier using a shovel. 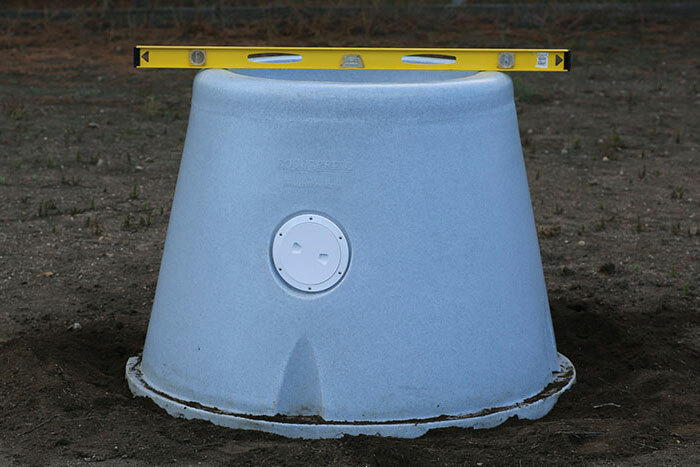 Make a level trench wide enough to fit the bottom of the waterer. 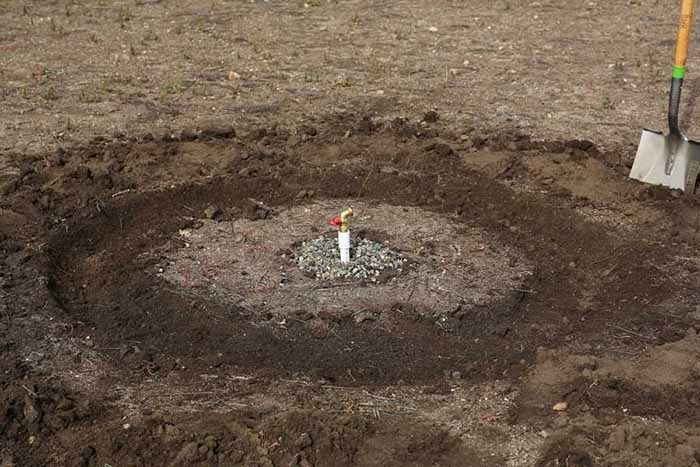 Use this step to make sure the surface where it has been placed is as smooth and level as possible. Remove any rocks or pebbles as necessary. 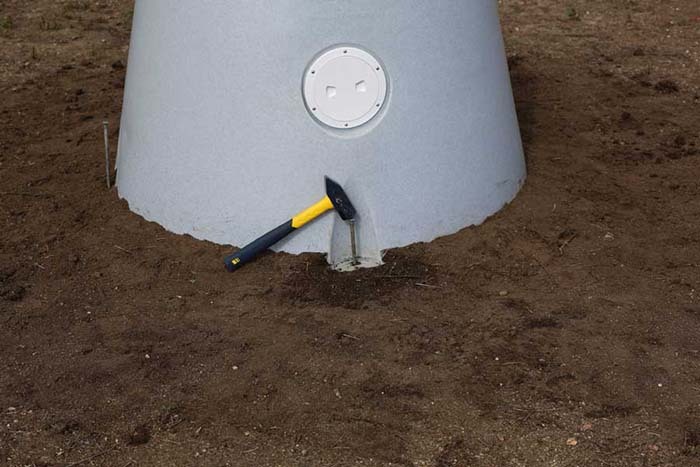 Remove and/or replace earth as needed to assure the pasture waterer is level. 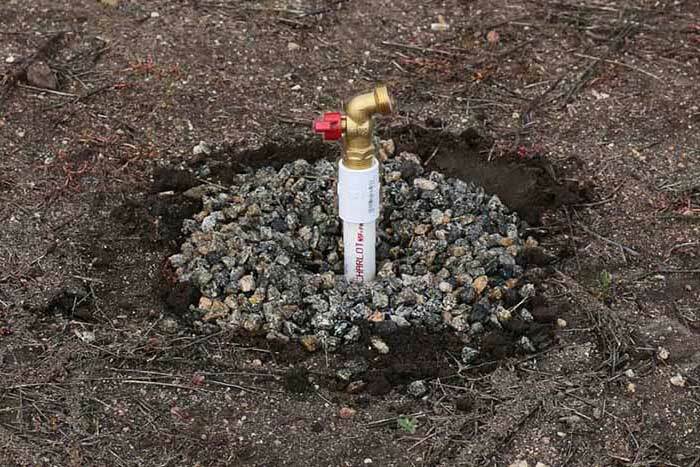 Connect the 3/4" hose from the pasture waterer to the hose bib. Scoop dirt onto the bottom edge so it is level with the surrounding earth. Stomp it down around using your foot around the entire edge. Using extra long nails or pieces of rebar for this step, drive them down into the molded holes. Fill your Waterer and Enjoy the Fruits of Your Labor! 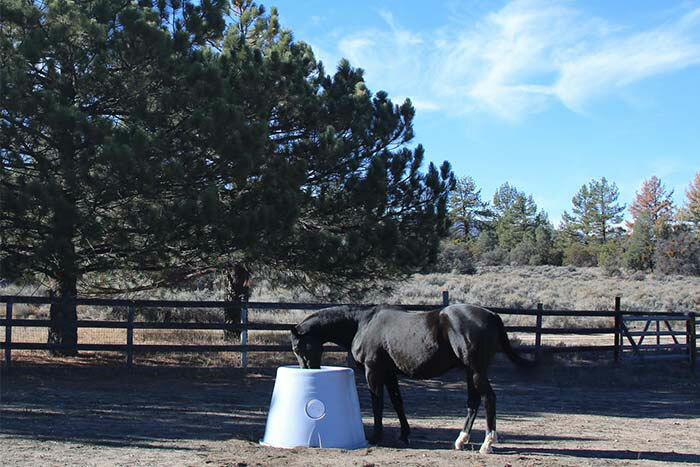 Now your horses are enjoying clean water automatically!